The Aerospace industry has relied on centrifugal barrel tumbling since before MFI opened its doors. 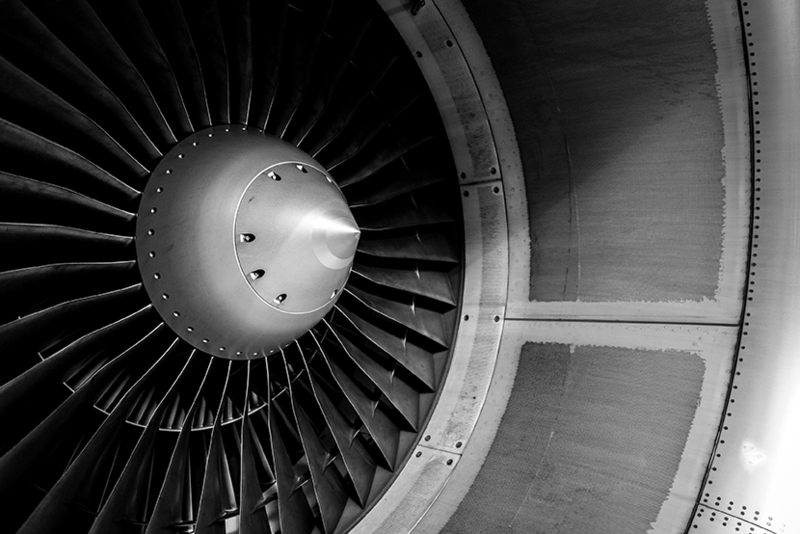 Mass Finishing has successfully tested hundreds of aerospace parts, from jet engine blades to airplane engine parts. Our customers have asked us for a variety of solutions that include removing machine lines, breaking sharp edges and adding a mirror finish to these critcal parts. Our equipment eliminates handwork and will allows aerospace manufacturers implement a process that is efficient and repeatable. Achieving the finish you desire varies greatly by the raw condition of the part. For rough parts with heavy machine lines or scale from heat treating and other strengthening processes, it can take from 15 minutes to two hours to reach the final surface requirement. Simple deburring or edge radiusing of parts can take 10 to 20 minutes. Mass Finishing uses a combination of tumbling media to first grind and smooth out the surface and then a final step media to add a high shine or polish to parts.